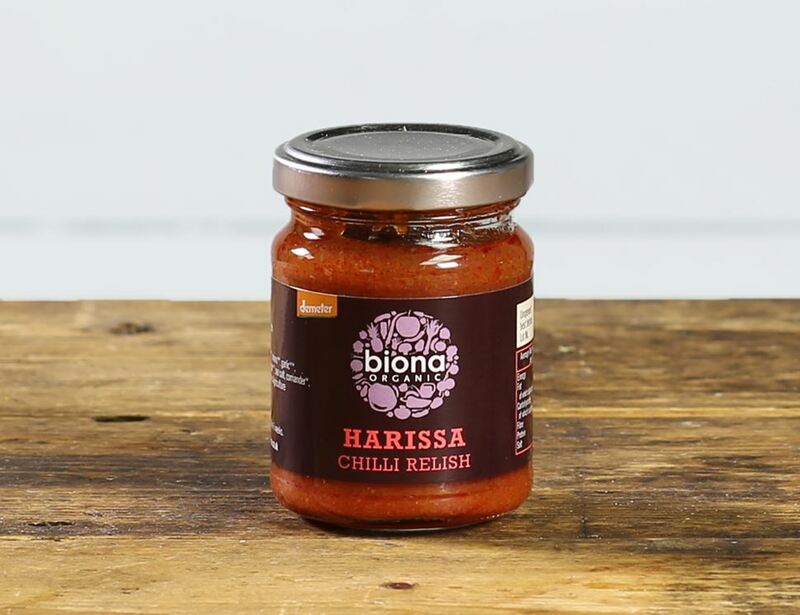 A delicious, organic, hot and spicy Harissa Chilli Relish made by the clever clogs at Biona. Use this little number to jazz up grain dishes, casseroles or to load up a burger bun or sandwich. Give this a whirl: mix through your mayo for a spicy garnish. Chilli* (25%), carrots*, tomatoes*, onions*, garlic*, sunflower oil*, cider vinegar*, white wine vinegar*, sea salt, coriander*, caraway seeds* * = produced to organic standards. Once opened store chilled and consume within 6 weeks.